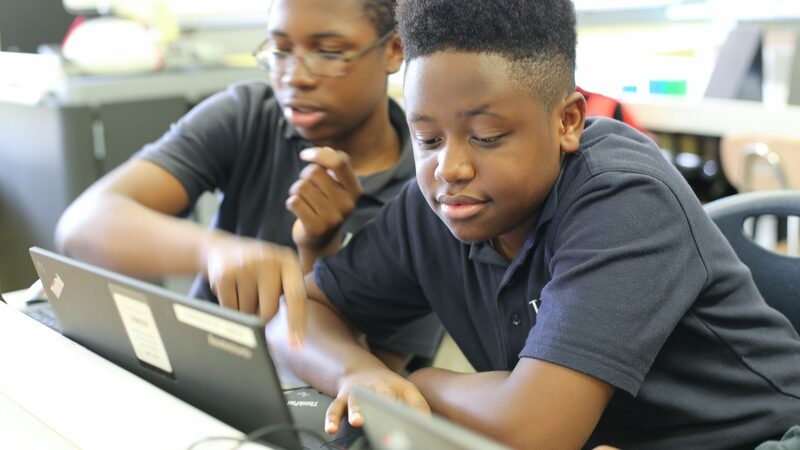 At Harlem Village Academies, our approach to instruction centers on learning experiences that foster and require deep thinking, independent thinking, and coherent expression of thinking. Instruction at HVA has students spending most of class time reading, writing, creating, problem-solving, and contributing to high-level discourse. In English, students ask and answer hard questions about great works of literature and nonfiction documents, grapple with demanding text, cite evidence, and craft compelling arguments. From kindergarten through high school, we are obsessed with quality books, quality student writing, and quality student discourse. It isn’t enough to read school assignments; we want our students to become genuinely avid readers. It isn’t enough to have an opinion; we want students to confidently sit at the seminar table and articulate well-founded arguments that hold up to scrutiny. And it isn’t enough to write a five paragraph essay; our students must demonstrate disciplined thinking and full command of every element of the writing process as well as understanding the logic and beauty of grammatical conventions and the precise use of advanced vocabulary. In mathematics, our students spend most of their time struggling through problems with skilled guidance from the teacher. Students construct solutions, evaluate the strengths and drawbacks of different methods, reflect on mistakes, and practice the application of mathematic concepts to increasingly difficult problems. In science, students are doing scientific work on a regular basis. 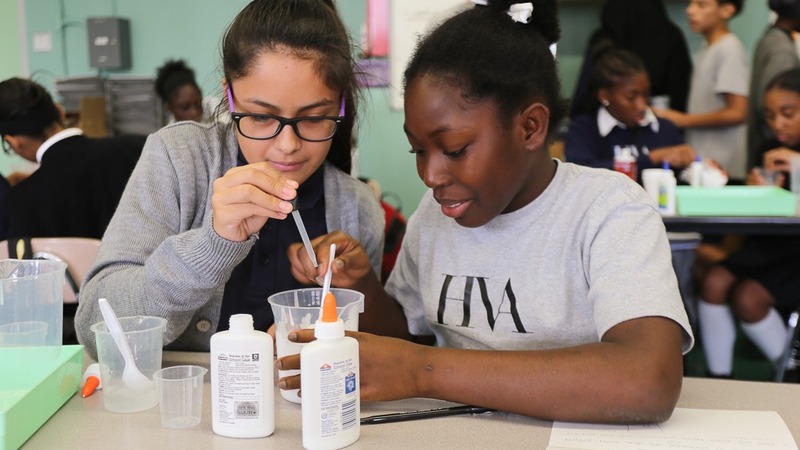 Students conduct experiments, develop or select reliable methods to answer questions, gather evidence, analyze data, and build models that explain phenomena. Students are required to design original scientific lab experiments and defend their conclusions orally or in writing. In history, our students must discern which sources are valid and which are biased, closely reading a variety of primary source documents to make sense of conflicting accounts of historical events and understand the significance of those events. In the visual and performing arts, students learn the discipline and joy of creative expression while discovering their talents and pursuing their passions. 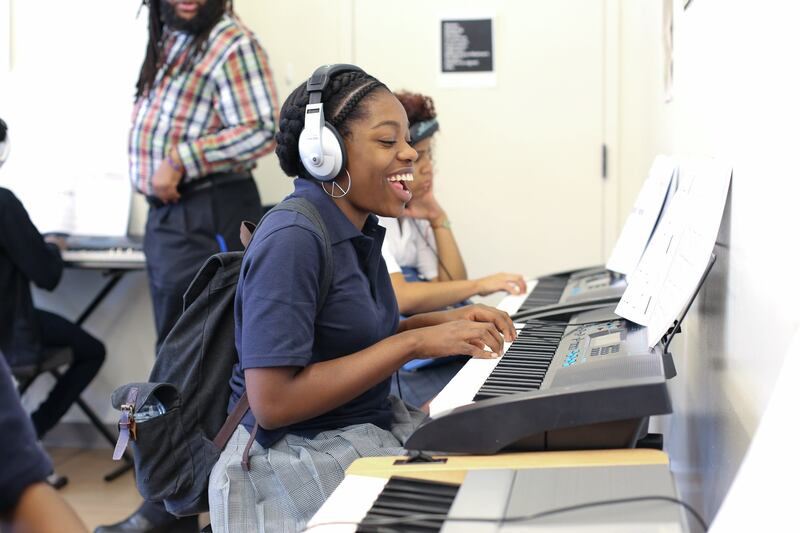 Students participate in choir, dance, studio art, instrumental music, and full musical performances.